What happens when you are involved in an accident, whether it is a motor vehicle accident or a slip or trip and fall, that occurs outside the province you live in? If different, do you look for a lawyer in the jurisdiction you were injured in or the jurisdiction you reside in? 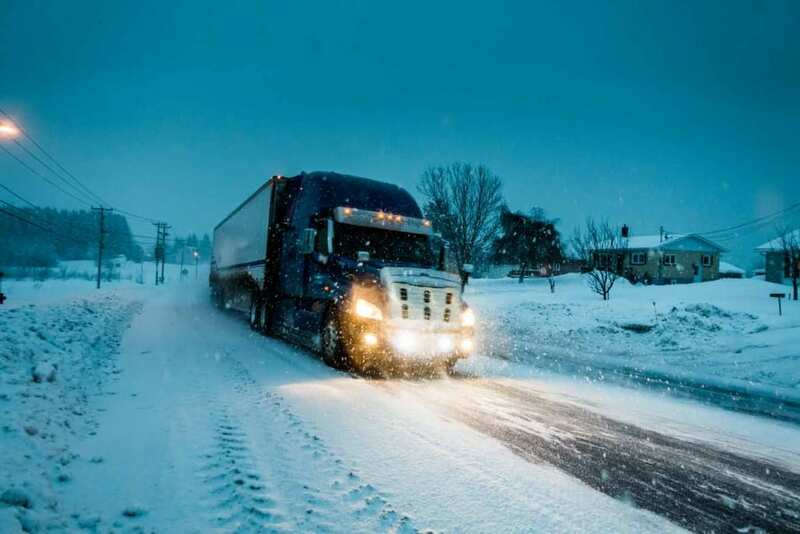 In many cases, you are required to prove there is a substantial connection between the jurisdiction that the accident occurred in and the jurisdiction you commence your lawsuit in. A variety of factors may be considered when determining whether there is such a connection. Where does the injured person live? Where does the alleged tortfeasor live? Were there a number of witnesses that may be necessary at a trial? Where do they live? Where does your family doctor and other treatment providers reside? Would filing the lawsuit in one province or country as opposed to another be prejudicial to any parties involved? If different, are there any particular rules and/or regulations between these locations that may affect where the lawsuit can be commenced? Whether or not an Ontario court assumes jurisdiction of any given accident, especially accidents occurring outside Ontario, is assessed on a case-by-case basis. 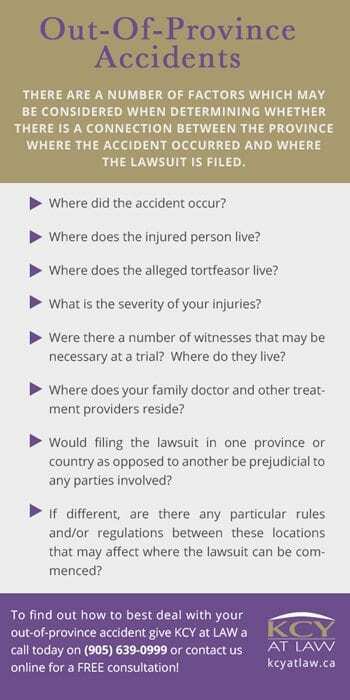 If you or someone you know is seriously injured as a result of an accident that occurred out-of-province, it is critical that you speak to a lawyer to ensure that your rights are properly looked after. Even if the particular lawyer you meet with determines that your lawsuit in Ontario is doomed to fail due to jurisdictional issues, he or she should refer you to a lawyer in the jurisdiction where the accident took place. 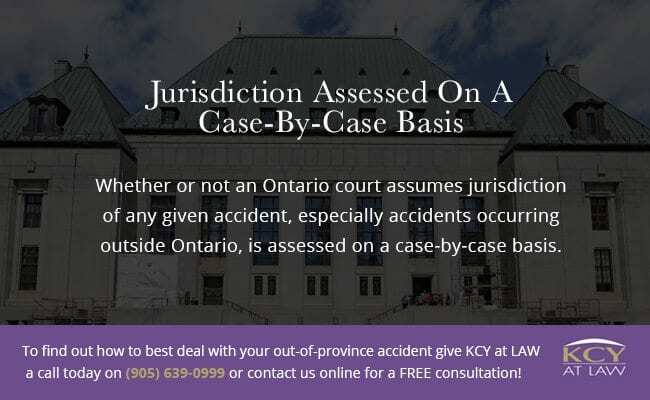 Contact KCY at LAW, experienced Ontario personal injury lawyers, right away to book your FREE consultation and get you the advice you need. Call us now on (905) 639-0999 or contact us online! https://www.kcyatlaw.ca/wp-content/uploads/2016/07/Out-Of-Province-Accidents-Ontario.jpg 876 1313 Kathy Chittley-Young https://www.kcyatlaw.ca/wp-content/uploads/2018/01/KCY-at-LAW.svg Kathy Chittley-Young2016-07-27 18:40:172019-01-20 00:10:03Did Your Accident Occur Out-Of-Province? What You Need To Know!